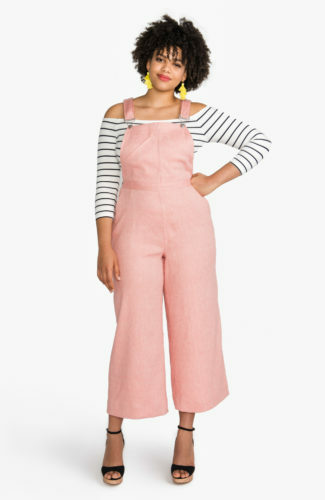 Our Latest Online Workshop: Sew Your Dream Jeans! 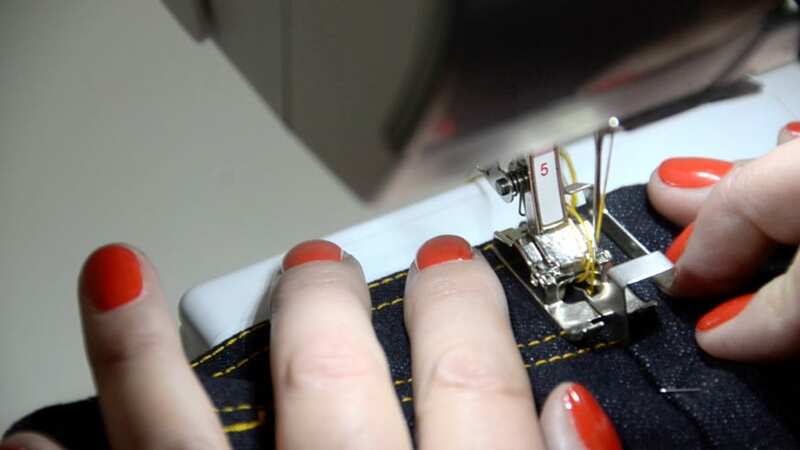 Today is a little thrilling for me because I am bringing you something really personal and thisclose to my heart, something that sums up and captures a rather singular obsession I’ve had over the last few years: how to sew the ultimate pair of jeans. 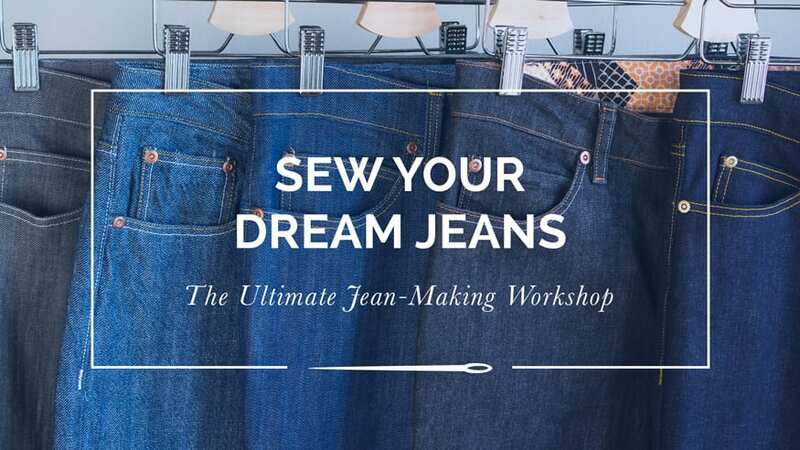 I’m happy to announce the presale of our latest online course; the Sew Your Dream Jeans Workshop amasses nearly everything I’ve learned about making jeans since launching the Ginger Jeans pattern. Until the workshop launches on Monday, February 20th, you can enjoy advance pricing of 15% off while we put the finishing touches on the course and accompanying pattern. So why is this workshop so special? In addition to the three and counting jeans patterns we’ve released, and the dozens and dozens of pairs I’ve made over the years, I’ve also been really lucky to travel around North America teaching jean-making in person. I am constantly learning and trying new things, seeing what works in class, figuring out how to explain things as simply and clearly as possible to my students. 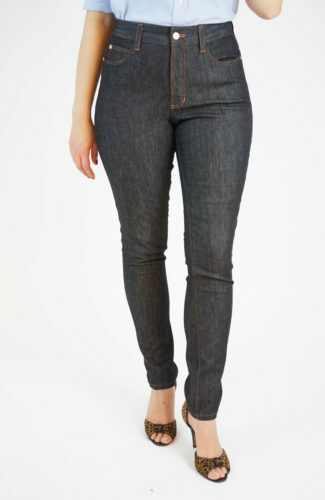 I remain convinced as ever that making the jeans of your dreams is attainable for anyone, regardless of sewing level. 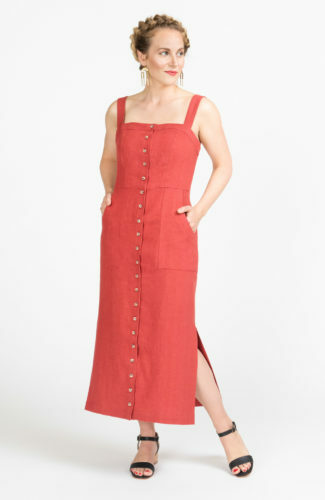 I have had students come into class having never sewn a garment before, and left with jeans that fit them better than anything they’d find at the mall. Time and time again, I have learned that when something is clearly demonstrated and explained with a positive, encouraging attitude, anyone can take on those challenging, scary projects with confidence and skill. I wanted to make that experience possible for everyone, so I‘ve poured everything I know about the subject into this obsessively in-depth online workshop, and broken each step down into digestible, easy to follow lessons. 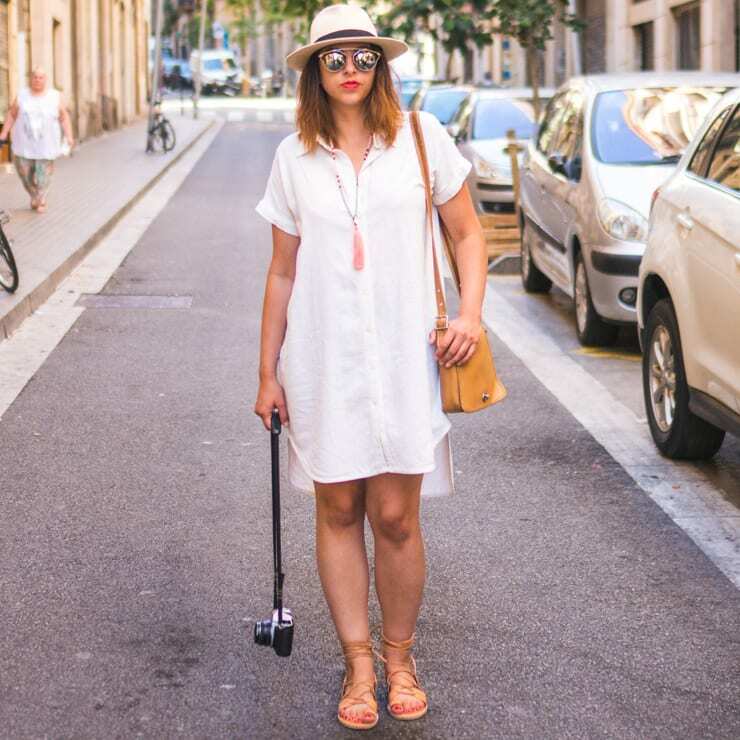 And the beautiful part is that you don’t even need to get out of your pajamas to take it! While I’m continuing to take the Ginger workshop on the road (in fact, we have another one scheduled at one of my favourite sewing studios, Drygoods Design in Seattle on May 27 & 28), this is a great option for those of you who can’t make it to my in-person classes, or who simply prefer the self-paced nature of online courses. Sew Your Dream Jeans is a thirteen lesson, +four hour long comprehensive online course that guides you through the process of sourcing, designing, stitching and finishing your own custom-fit jeans. 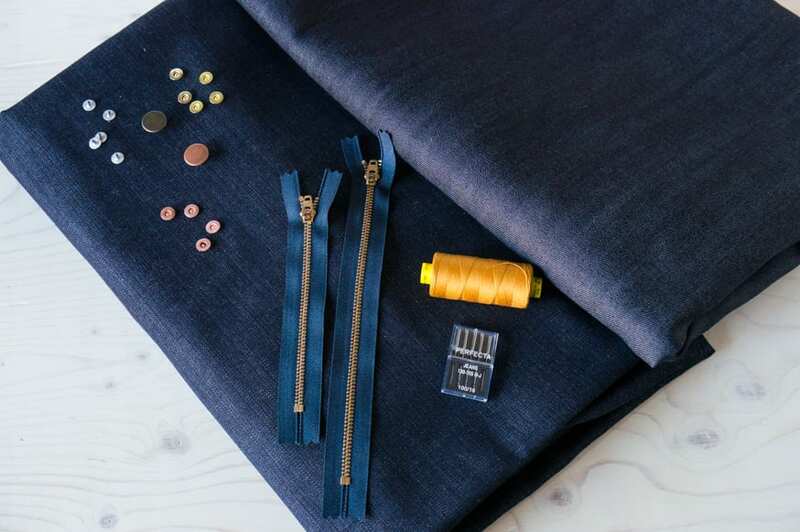 How to shop for and source beautiful denim and all the necessary jean-making supplies. 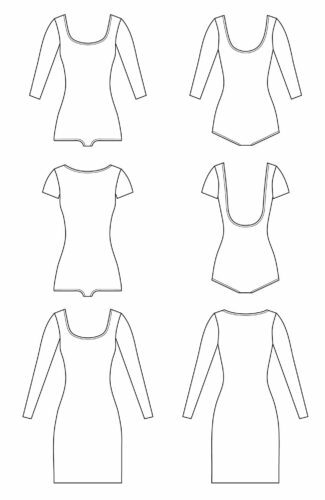 How to find the perfect size for your body, and grade in-between sizes. 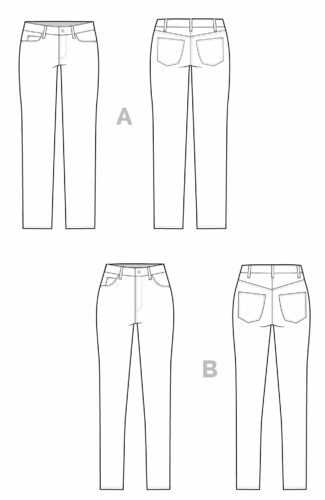 Basic pants & jeans fitting, with examples shown on a live model and all major adjustments demonstrated on camera. 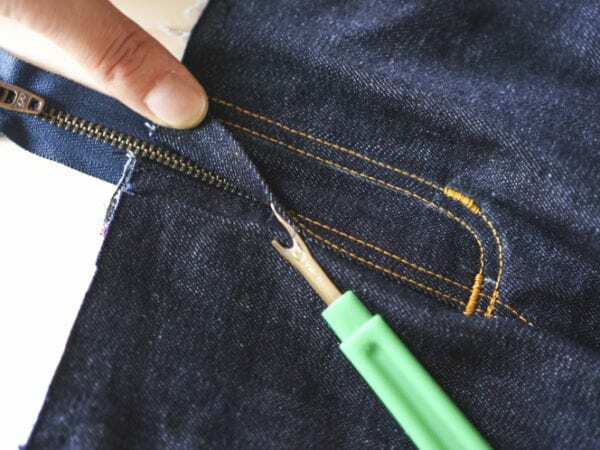 How to prep denim and cut it to prevent ‘leg twist’. 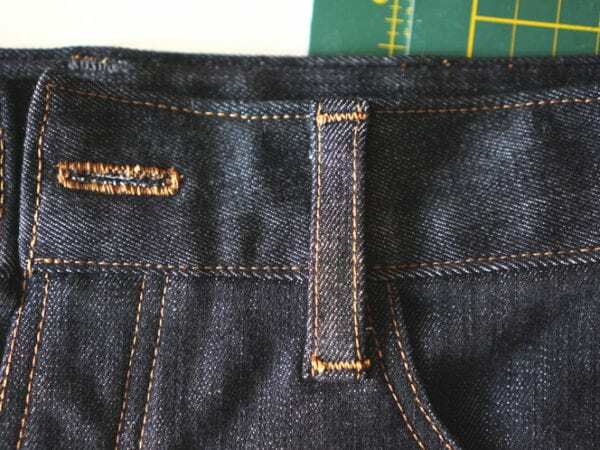 Sewing techniques for the most durable denim seams, using a regular sewing machine or serger. 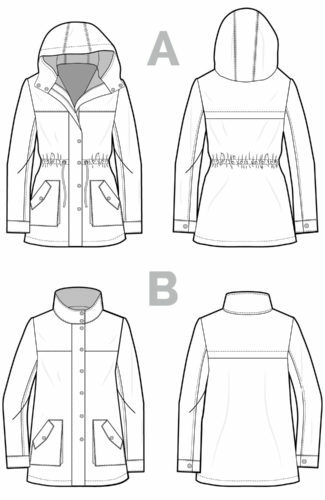 Tips for painless and professional-looking topstitching. 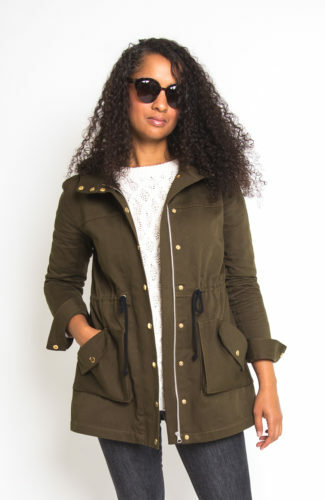 Two different pocket styles, including the ultra-flattering, tummy-tucking pocket stay. 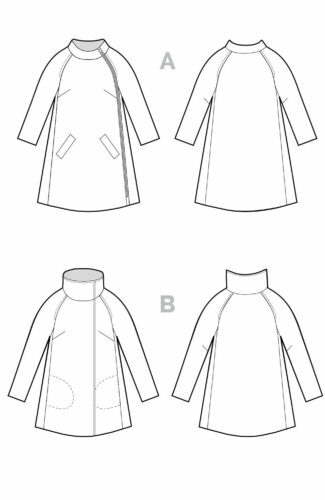 How to confidently sew a fly front zipper and button fly. 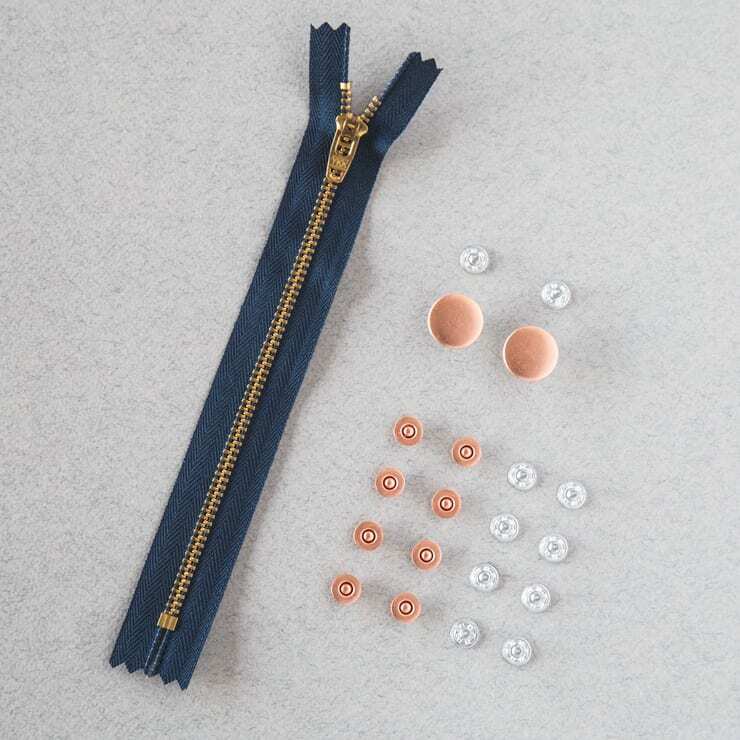 Ways to install jeans buttons and rivets at home, without requiring special equipment. 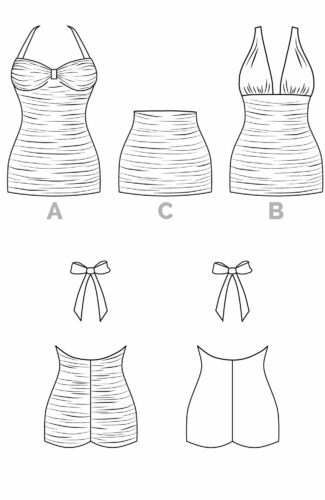 Sewing methods that include a comfortable, sturdy waistband without awkward gaping. 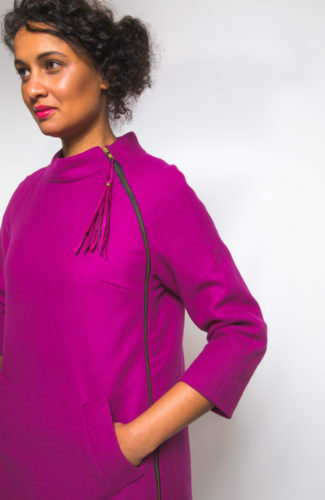 How to place back pockets that accentuate your best assets. 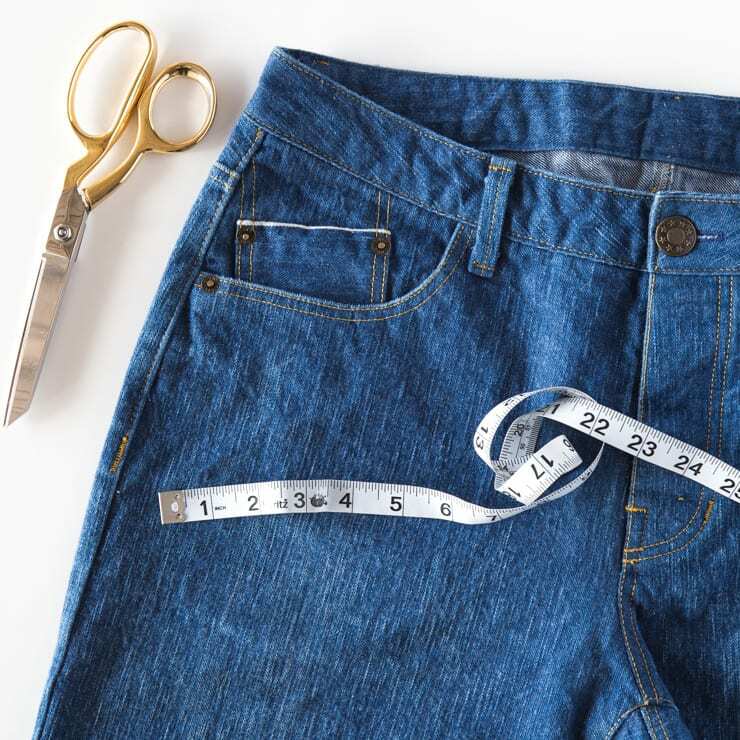 In addition to 13 jam packed video lessons, you’ll also get a free PDF copy of an exclusive jeans pattern created just for this workshop, and a number of downloadable and printable jean-making resources. We have made a new version of our best-selling Ginger Jeans available; universally flattering with two leg shapes, our Mid Rise Ginger Jeans are destined to be the every-day jeans you reach for time and time again. 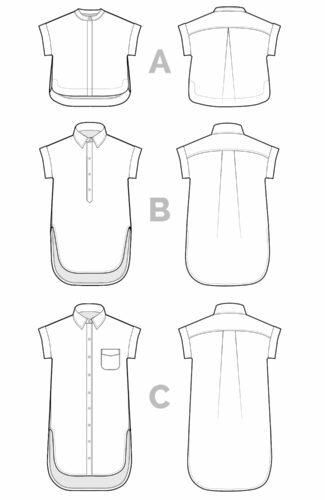 Of course, you can use any jeans pattern you want for this course (mens jeans too! 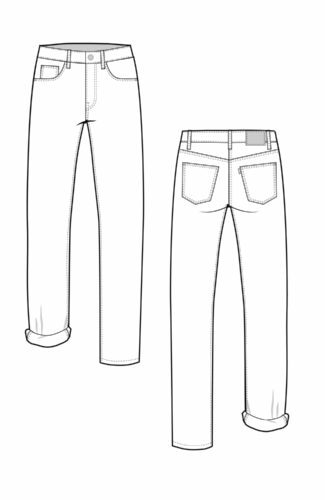 ); if you’d like a print or PDF copy of one of our other jeans patterns, we provide you with a 50% off discount upon enrollment. Please note that because the course and shop are on different platforms, we cannot make substitutions for other digital patterns. This workshop officially starts Monday, February 20th, but by signing up now you can enjoy our limited time pricing of 15% off. You can find out more about the course here. 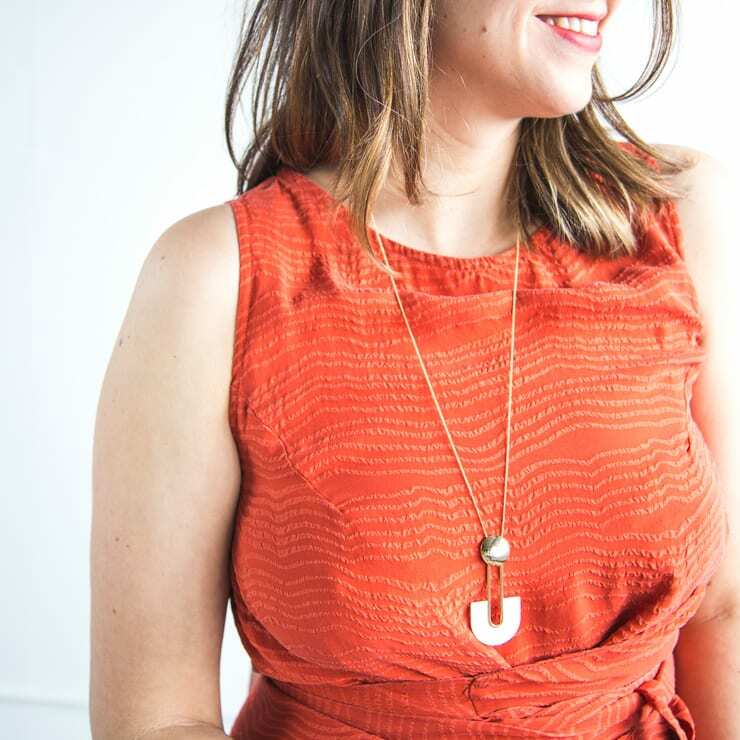 I am so excited to bring this course to you, and can’t wait to help you make the jeans of your dreams! CONE MILLS DENIM KITS ARE COMING! Seems like every day we get a request or two for our signature Cone Mills denim kits, and I’m happy to say they are coming your way when our course launches on February 20th! 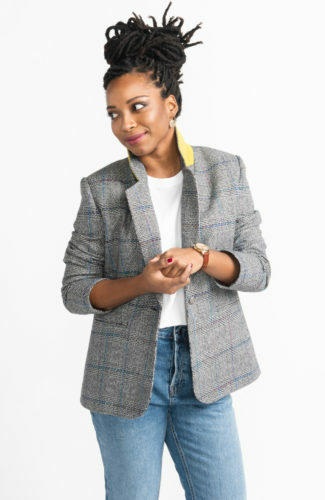 I have sourced the most deeeelightful denim on planet earth (including one specific colour that is REALLY hard to find in shops) and I can’t wait to get it in your hands. We will also be able to offer much more affordable international shipping this time around if this was an issue for you in our earlier sales. P.S. I’ve had a few questions asking how the course is different from my ebook. Because of the format, I’m obviously able to go into a lot more depth with video lessons. You will see me sew a complete pair of jeans from start to finish, all on camera. 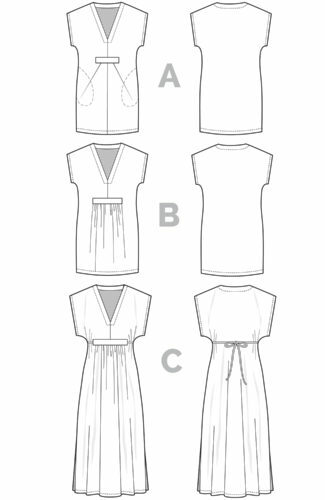 I demonstrate fitting on a model, show you how to make most major adjustments to your pattern, and share all the tips and tricks I’ve learned since the ebook was released. This is the class I wish I had when I was teaching myself how to sew jeans. 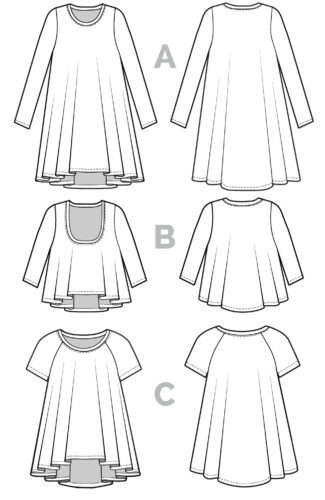 Having said that, the ebook is still a great resource for more confidant or advanced sewists. For a moment I wondered if we should keep selling it given how exhaustively thorough the workshop is, but I think it still has a role for people who don’t enjoy video classes. P.P.S. As for how the online workshop differs from the ones I give in person? 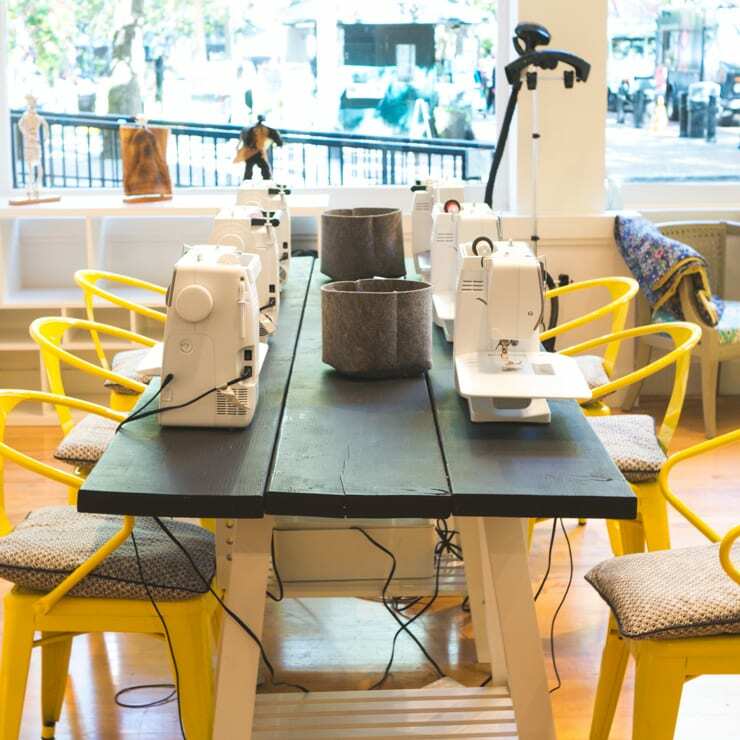 Well it’s obviously WAY more fun to hang out for a few days with likeminded people, sewing in a group, making friends and seeing demonstrations in person. My teaching style is different, more hands on and personal. I do extensive fittings in classes, tweaking your jeans on your actually booty, and then doing a fit assessment at the end for any further improvements to be made. I also troubleshoot problems you’re having in real time and help you figure out machine settings and tension issues. I just can’t do that over the internet. NOT YET ANYWAY!